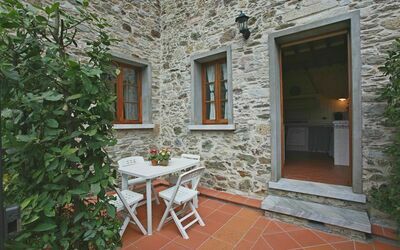 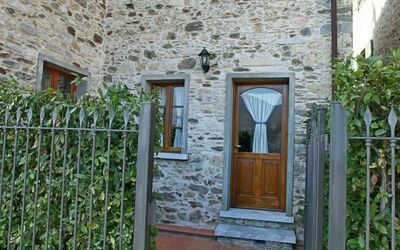 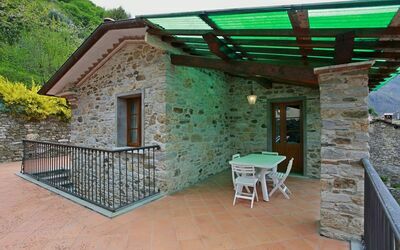 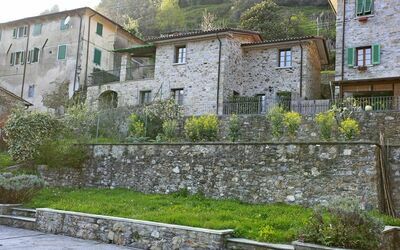 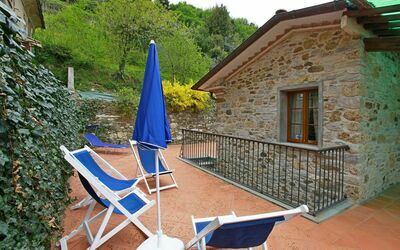 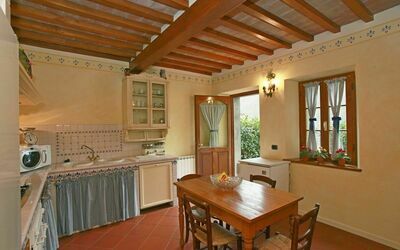 Holiday Home for 5 People in a Rustical but Modern style in Stazzema, a town on the hills of the Versilian coast line in Tuscany. 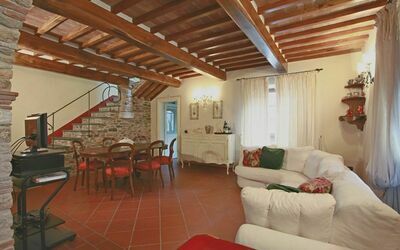 You can reach the famous town of Forte dei Marmi and its Sea in 18Km by car. 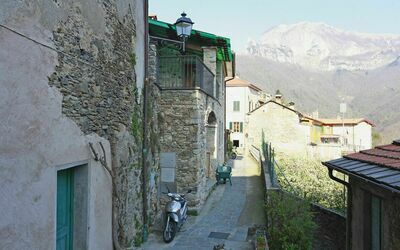 Once arrived in Stazzema, you can park your car on the parking spot on the street and walk for 50 Meters to reach the house. 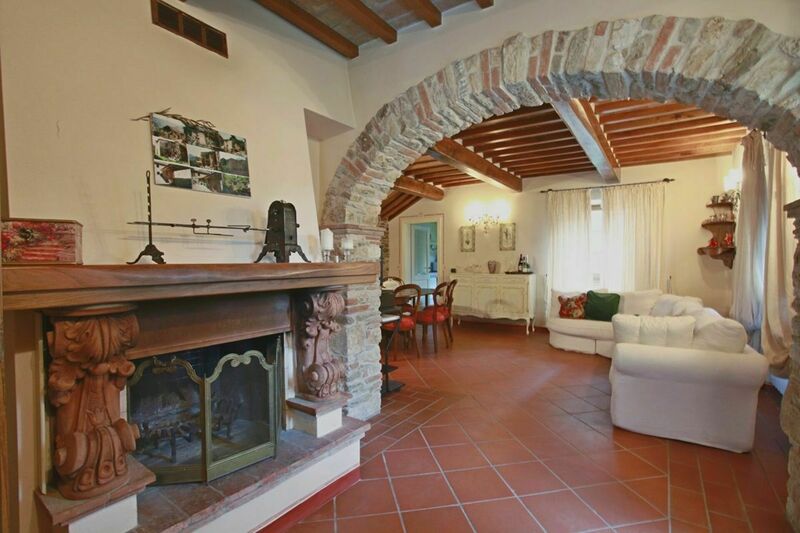 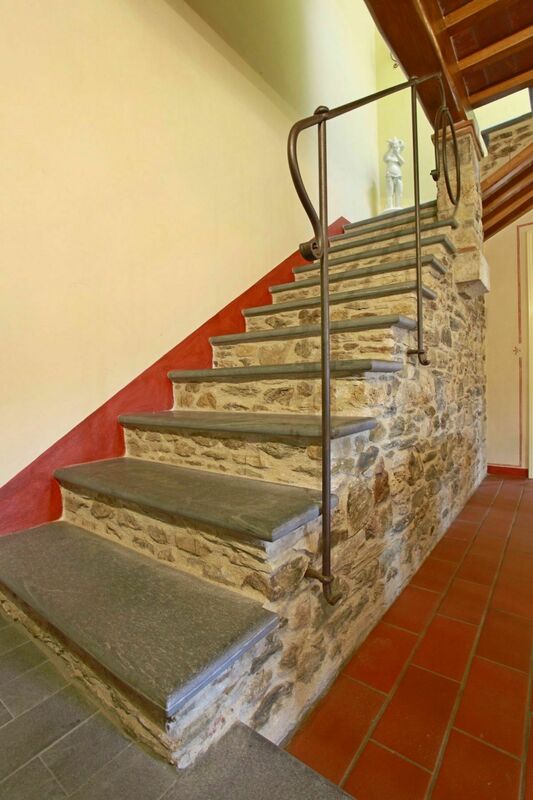 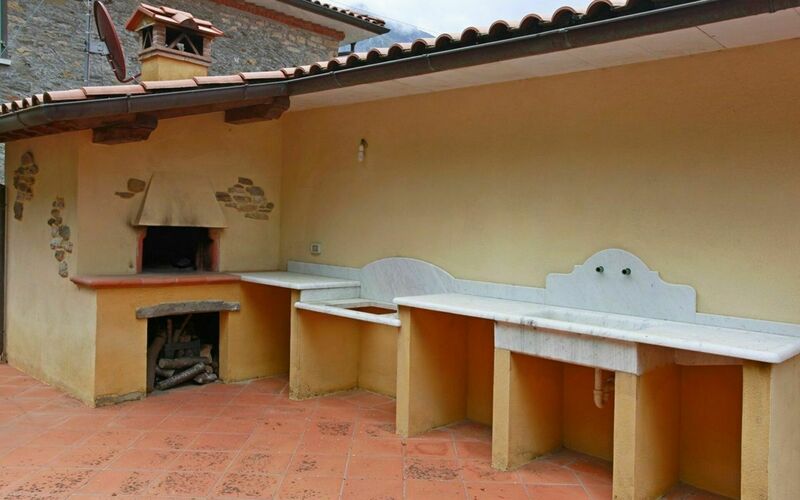 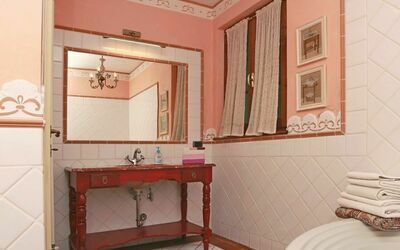 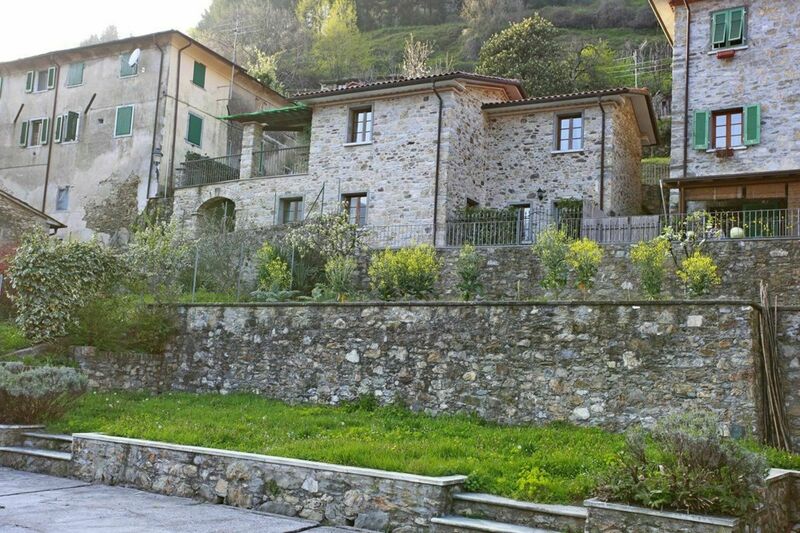 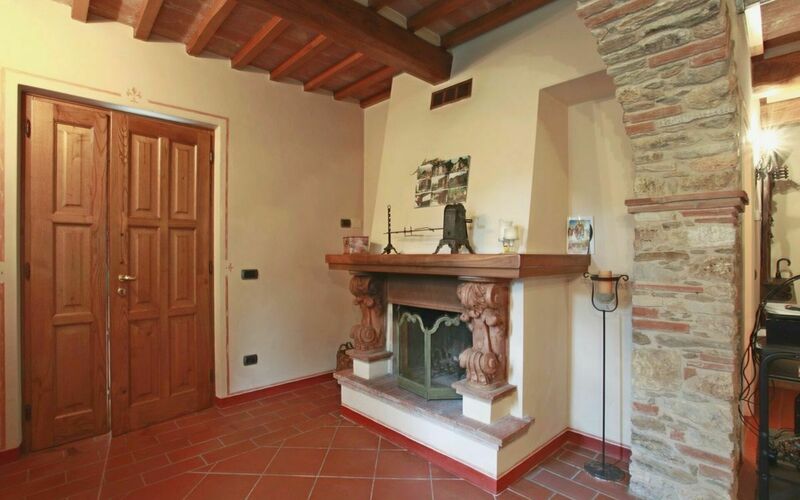 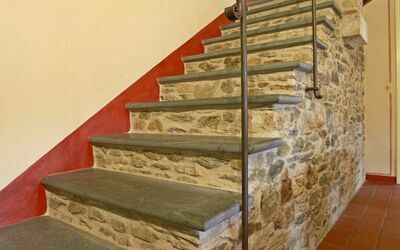 It is completely private and independent, restored a few years ago using a rustical style. 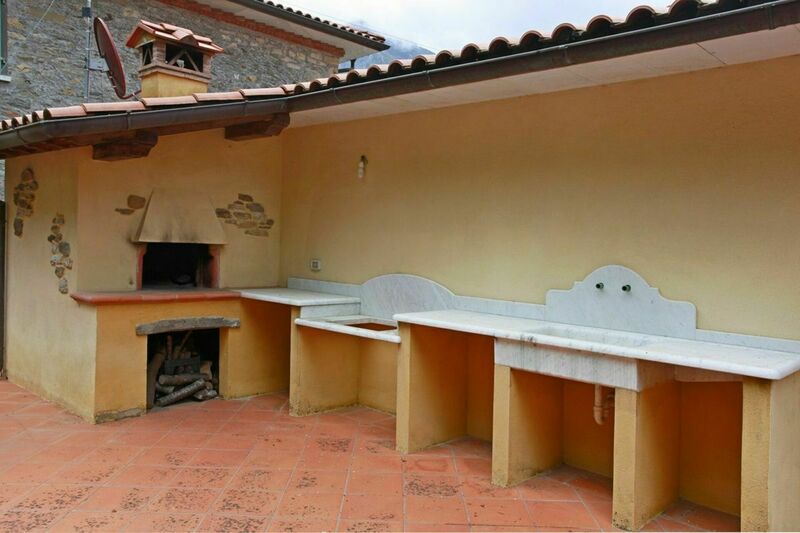 Next to the entrance door is a staircaise which leads to the large private terrace withview on the mountains and with dining table, barbecue, sunbeds and access to small terraced garden. 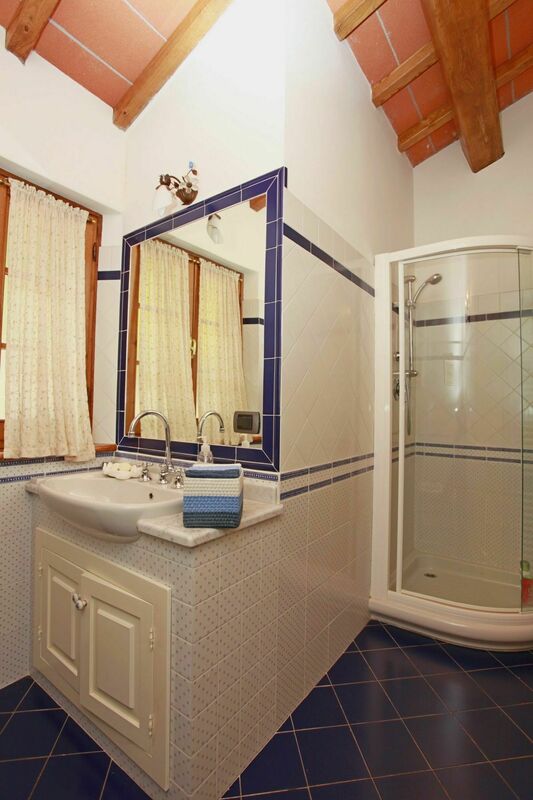 Also near the entrance is a small room (accessed from the outside) with a washing machine. 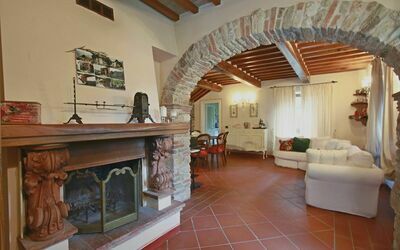 Entering the house you will find in front of you a large living room with sofa, dining table, SAT TV, fireplace and the stair leading to the upper floor. 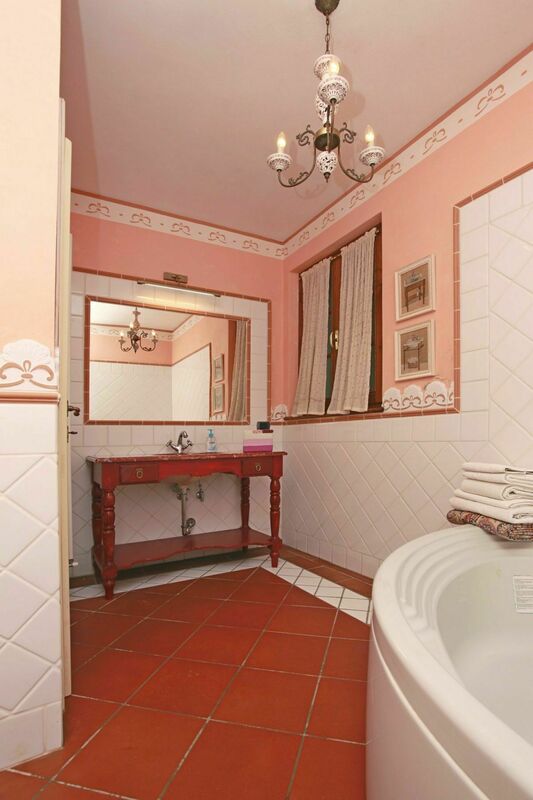 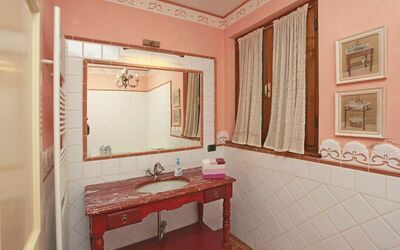 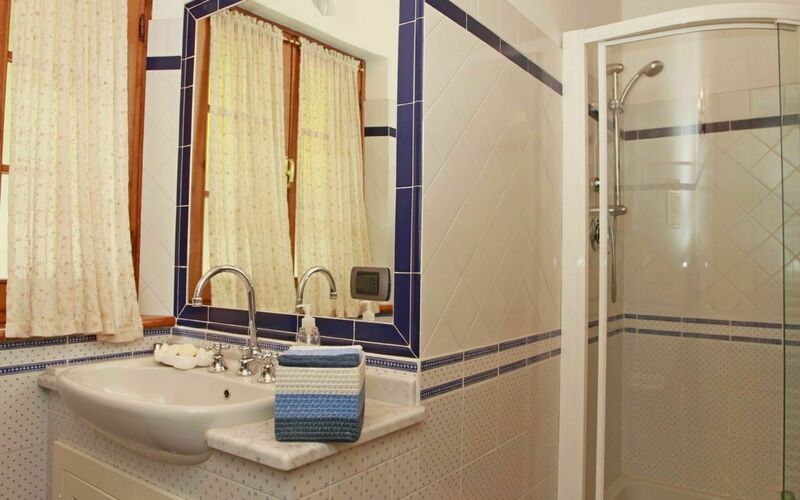 Also on the ground floor is a large bathroom with bath tub and the large kitchen with fridge/freezer, 4 cooking rings, dishwasher, coffemachine. 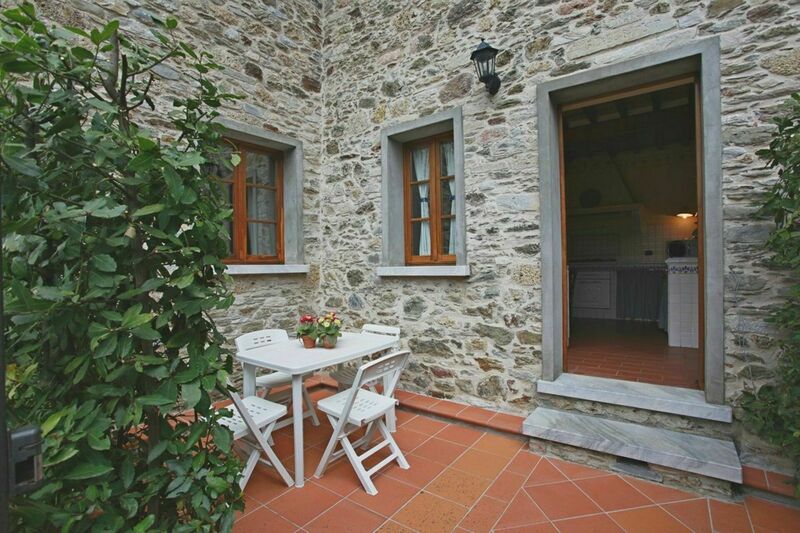 From the kitchen a door leads to a small outside area with breakfast table. 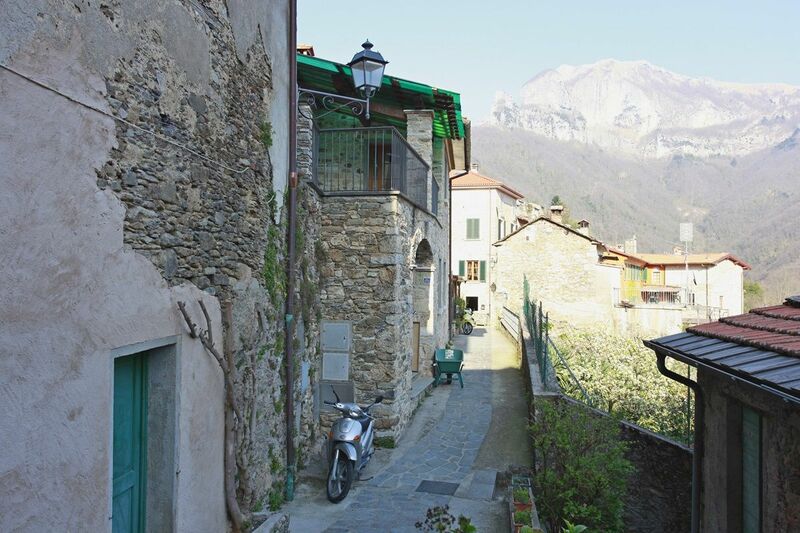 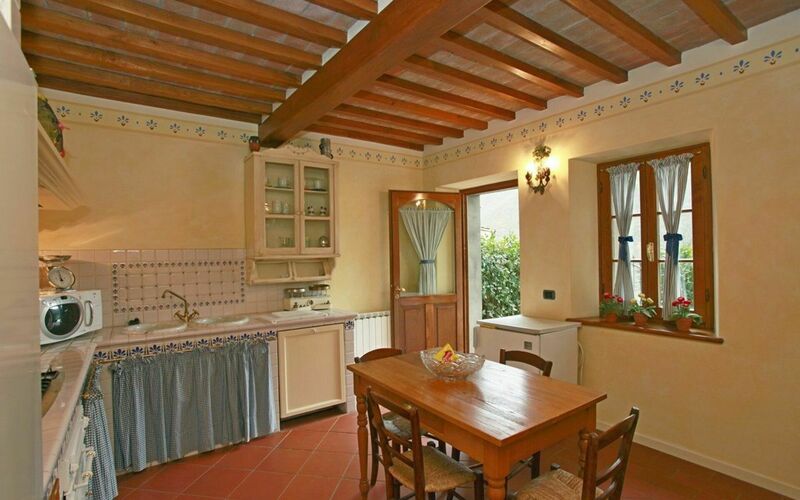 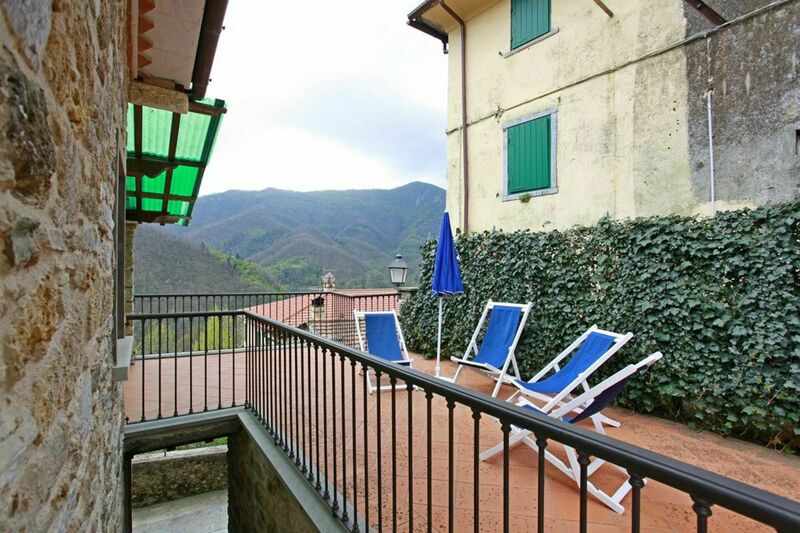 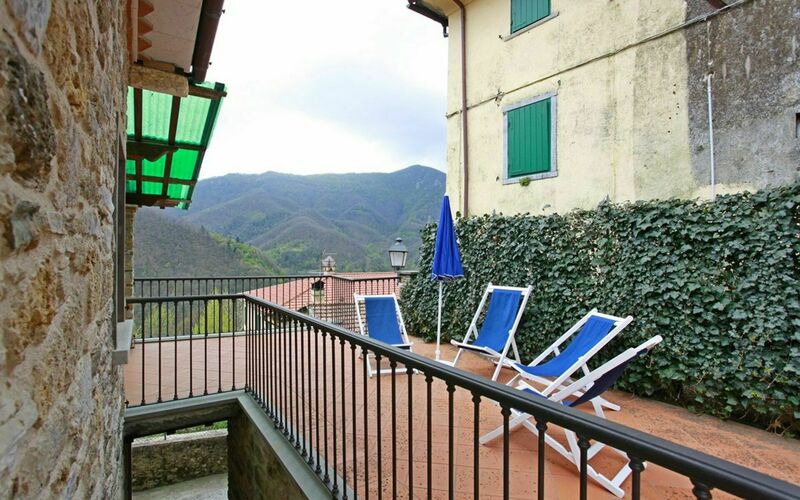 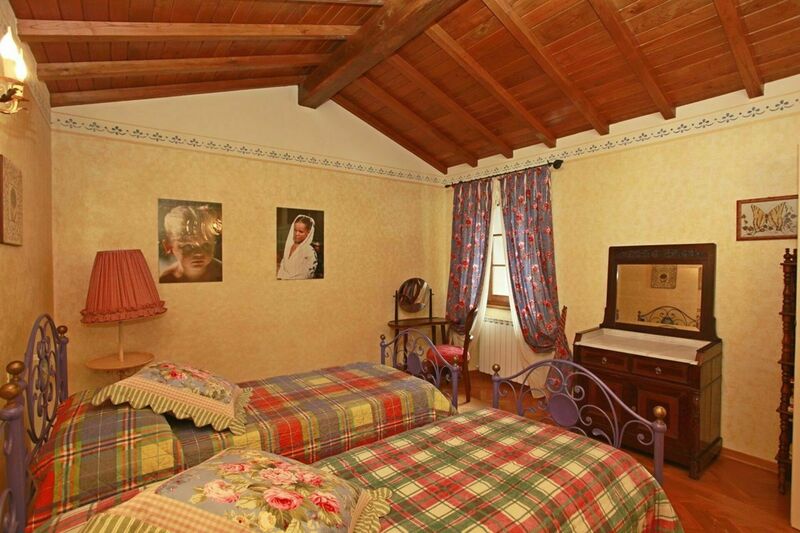 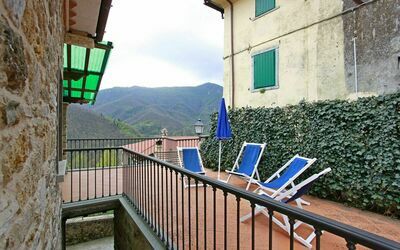 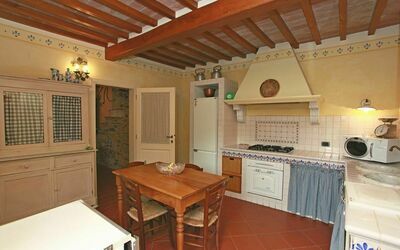 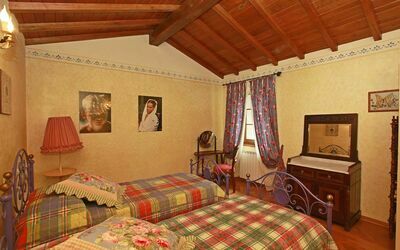 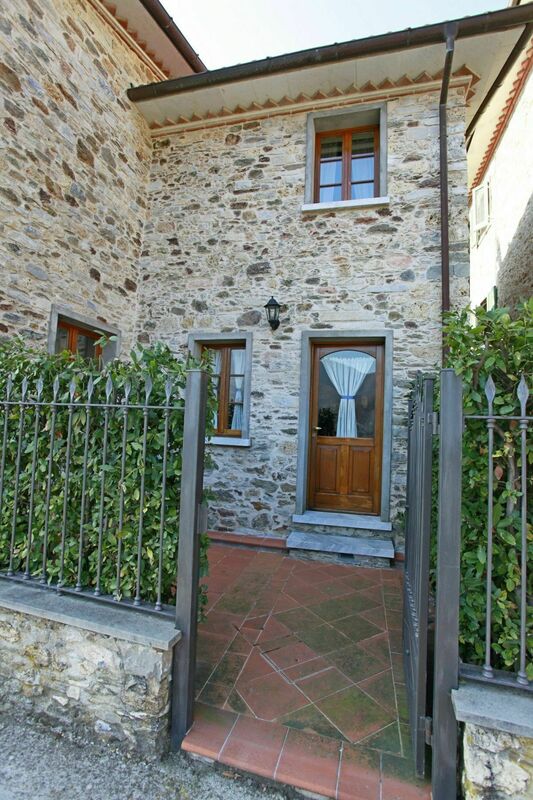 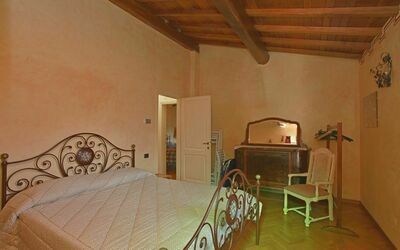 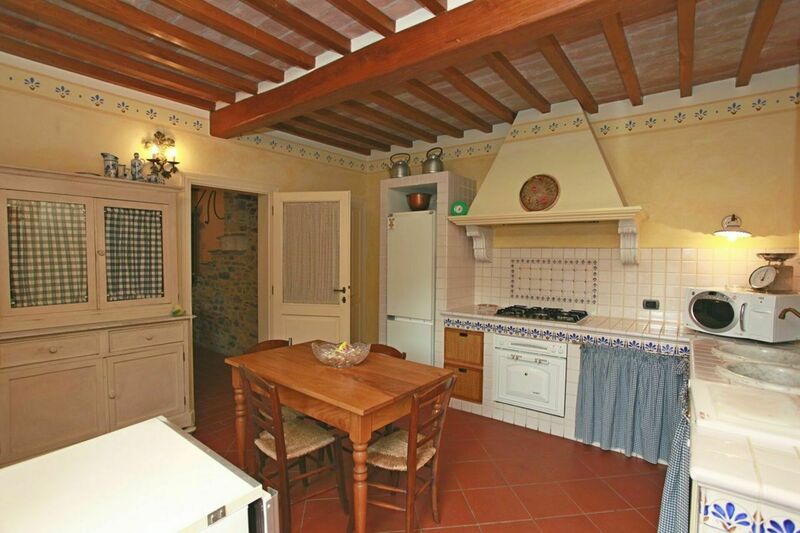 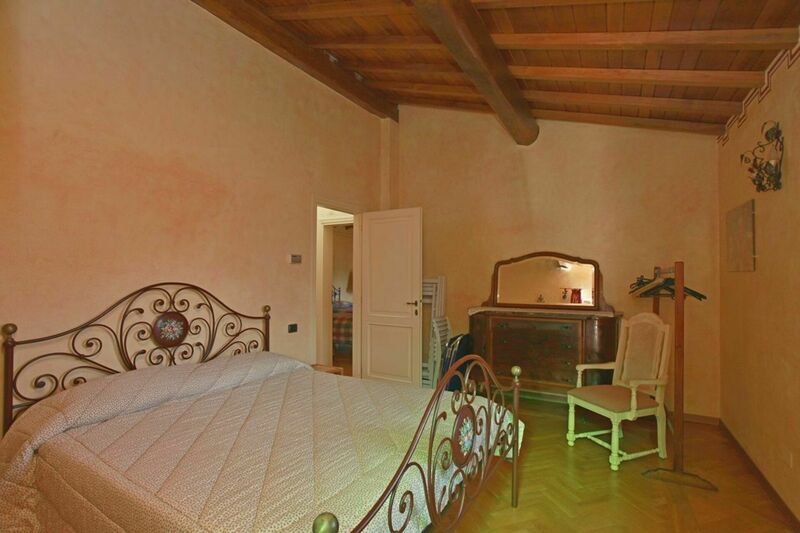 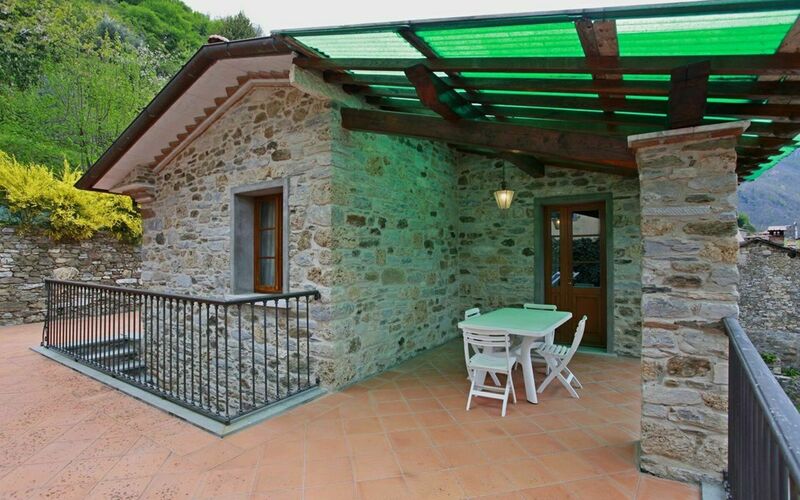 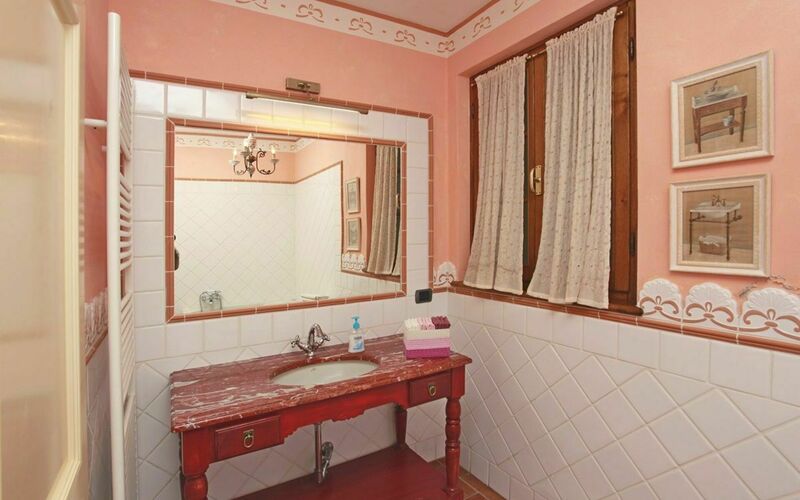 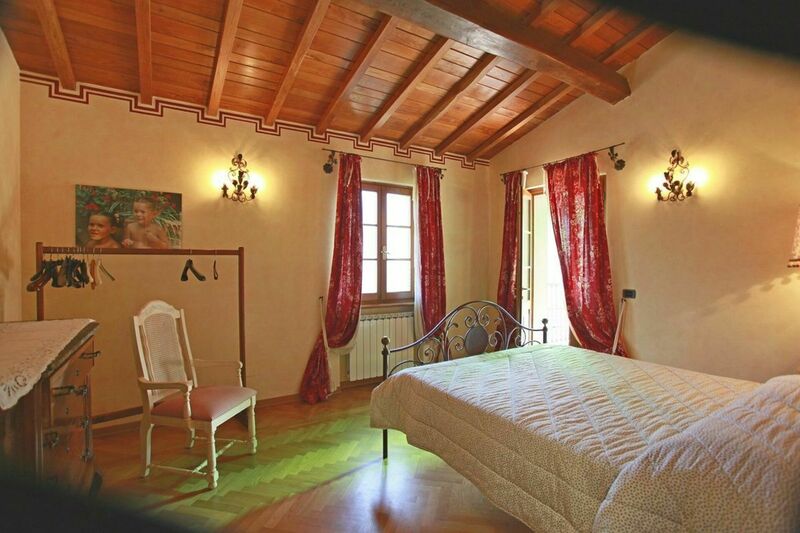 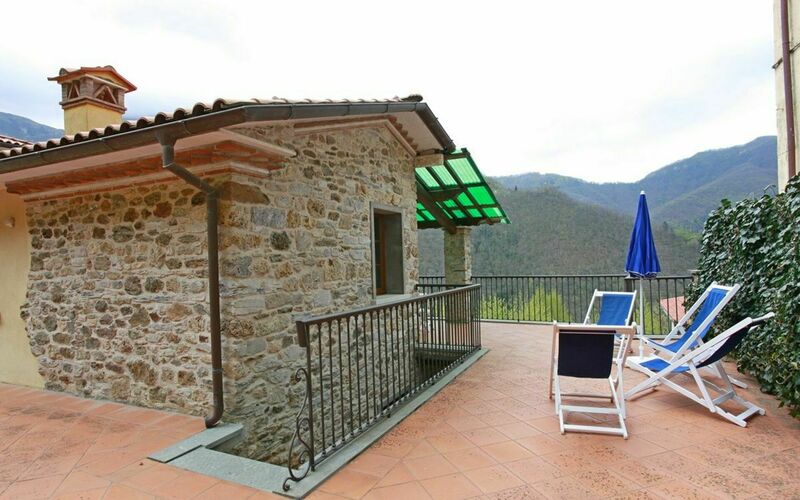 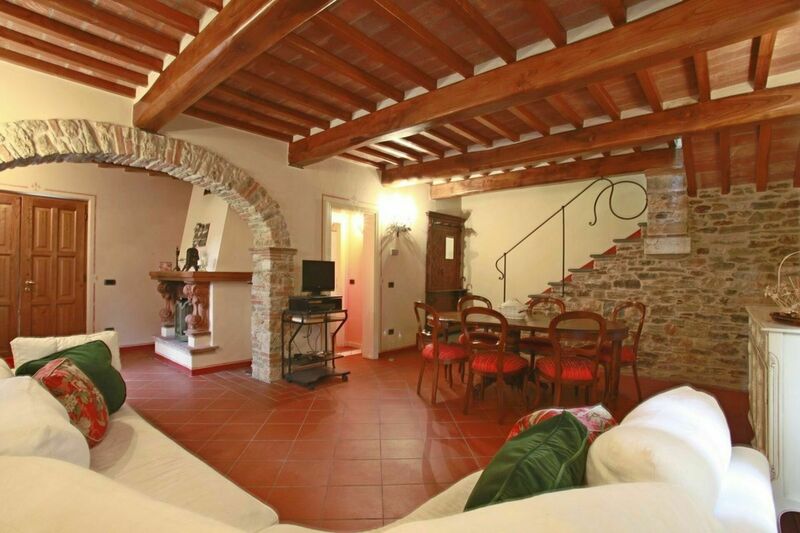 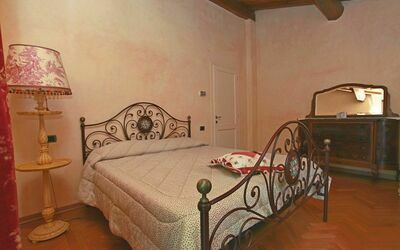 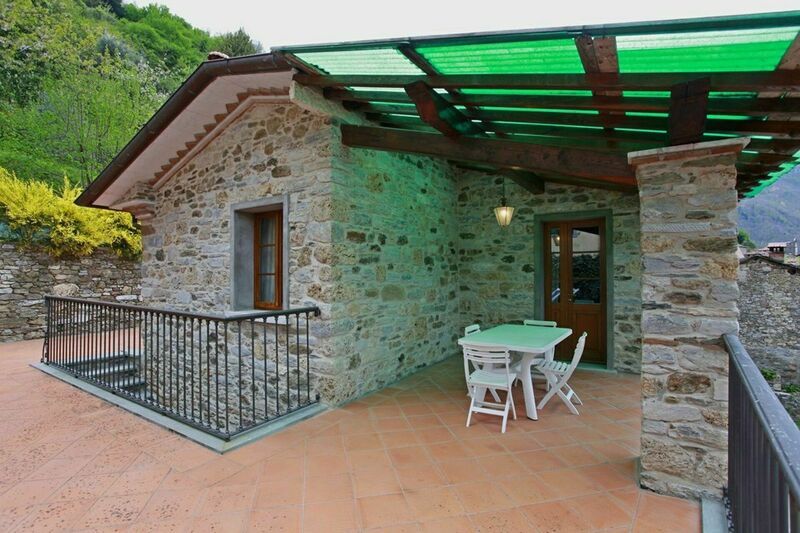 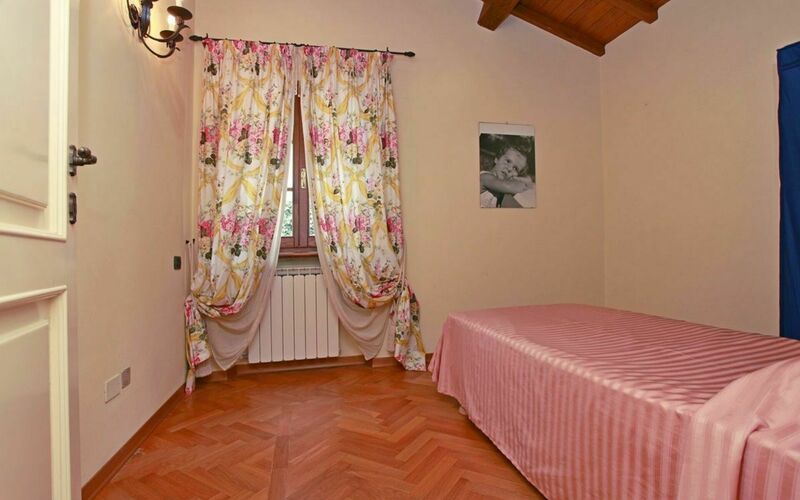 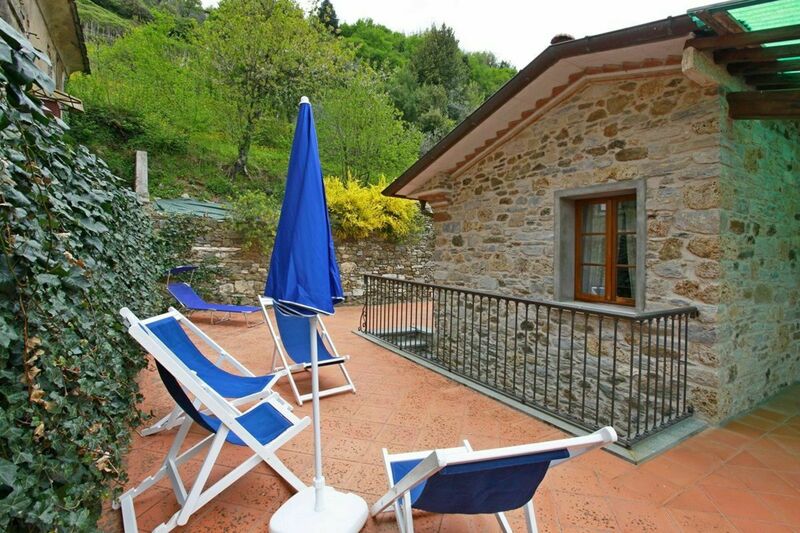 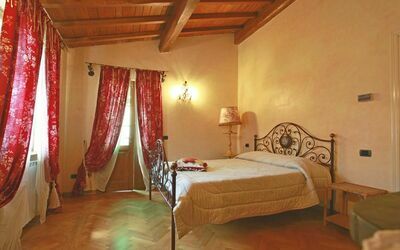 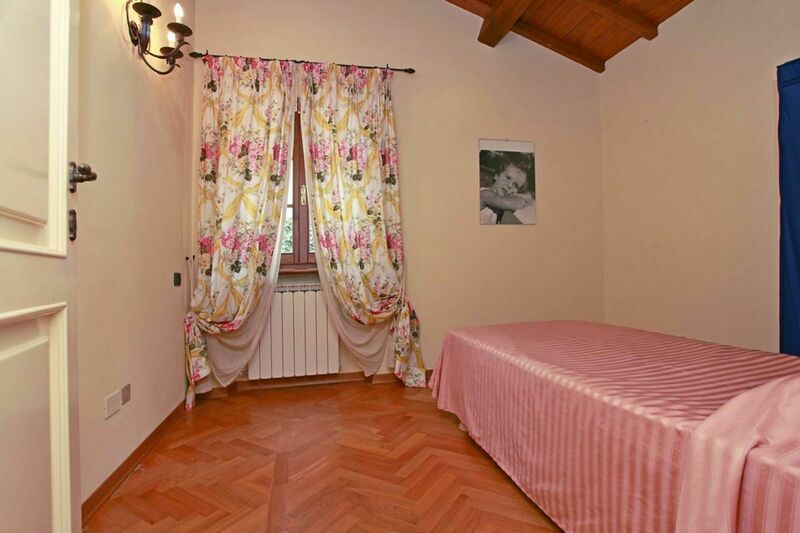 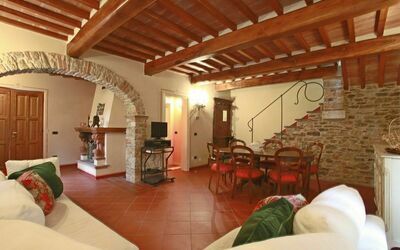 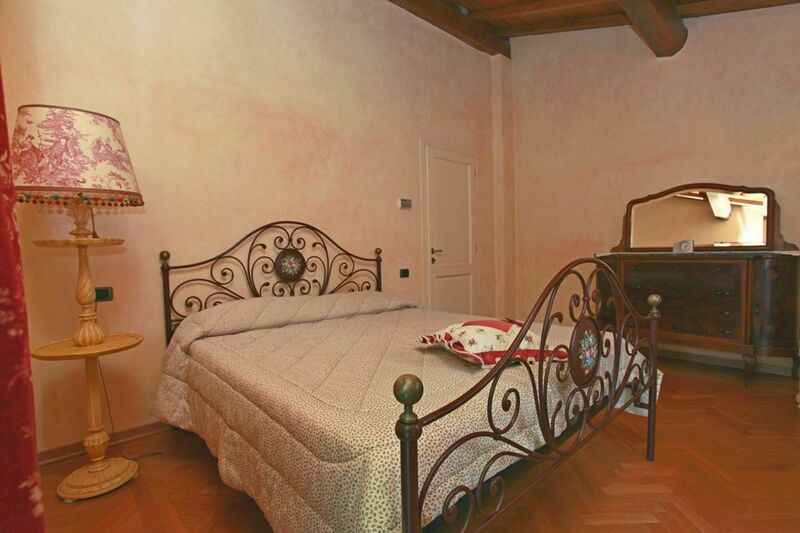 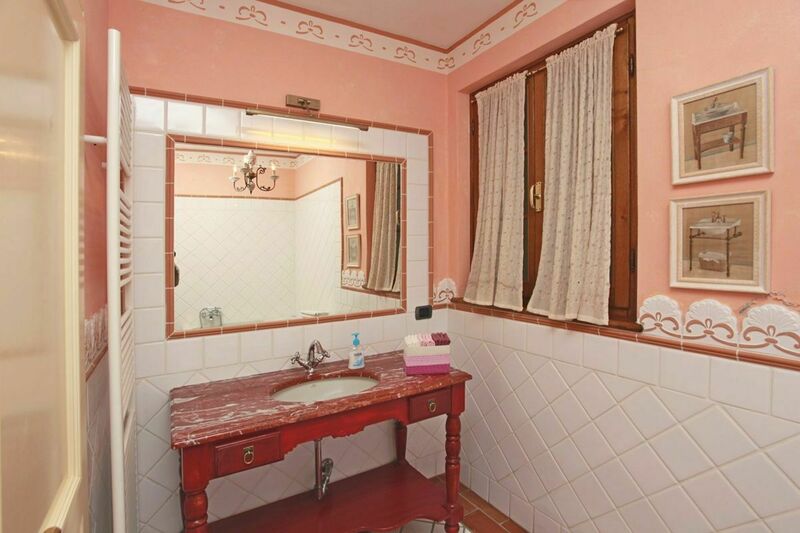 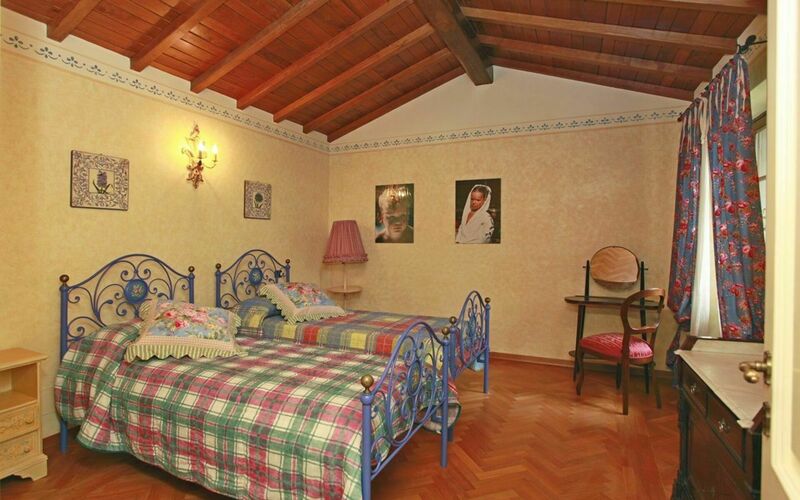 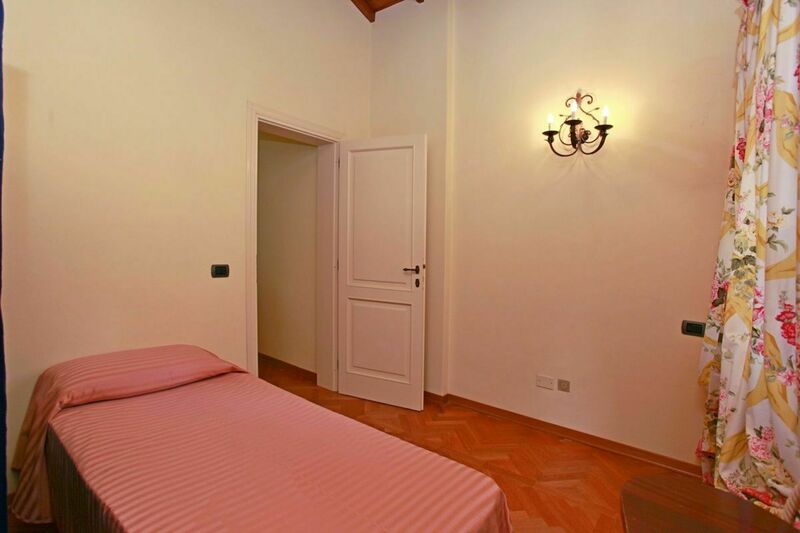 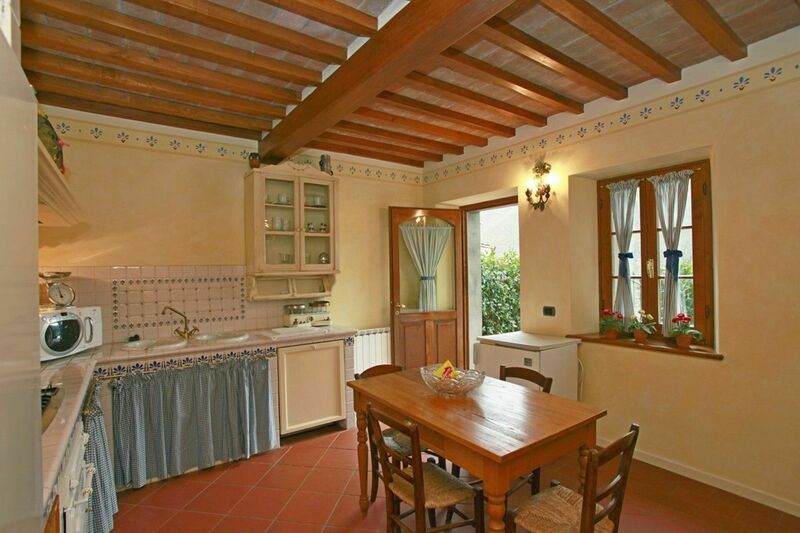 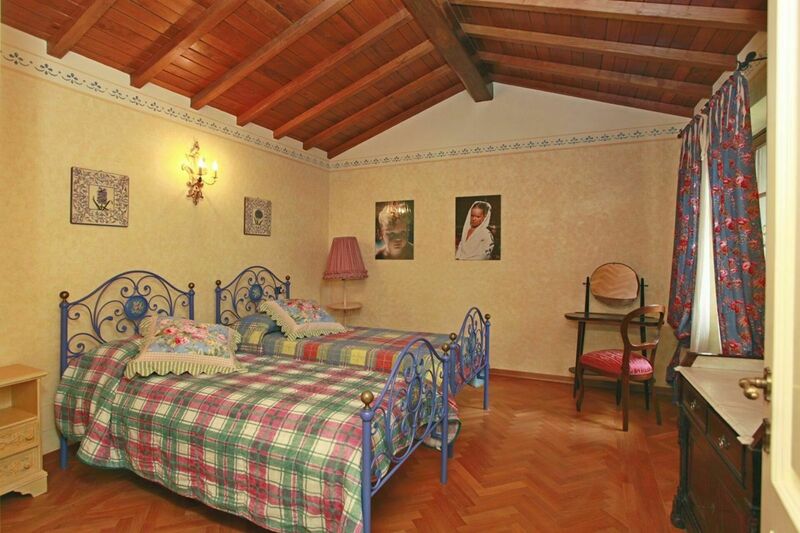 - Bedroom with 1 Double bed and access to the Terrace. 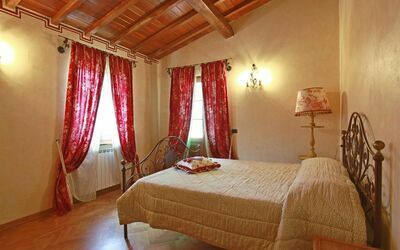 The price includes bedlinen and towels, final cleaning and gas, water, electricity.